Keeping a vow to Prime Minister Shinzo Abe, the U.S. president also said he had discussed with Kim the issue of abductions of Japanese nationals by North Korean agents in the 1970s and 1980s. Abe lauded Trump for his “leadership” in making the summit happen and hailed it as meaningful in that it resulted in a written confirmation of Kim’s intention to denuclearize. “I believe that would be the first step toward comprehensively resolving issues surrounding North Korea,” Abe told reporters Tuesday evening. In particular, Abe said he “thinks highly” of Trump’s mention of the abduction issue in the talks and was “grateful” that the U.S. president brought it up in what appeared to be a very “clear” manner. “For the first time ever, a U.S. president referred to and brought up the need to solve this issue in his conversation with chairman Kim Jong Un,” Abe said. At a post-summit news conference, Trump touted the agreement as a historic deal, but part of a longer-term process to resolve the nuclear standoff with the North. “We’re prepared to start a new history and ready to write a new chapter between our two nations,” Trump said. At the news conference, Trump also revealed that Kim had told him in their talks that the North was “already destroying a major missile engine testing site” and that inspections to verify the country’s moves by an international contingent were also being discussed. Thanking Abe, South Korean President Moon Jae-in and Chinese leader Xi Jinping for their efforts on crippling sanctions, Trump said later that the measures would remain in place until progress on denuclearization was made. 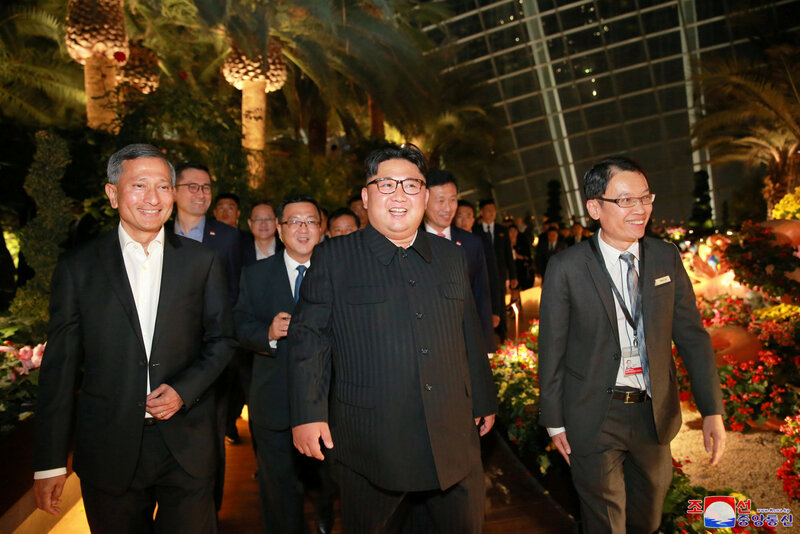 But the agreement, which appeared to echo the April 27 Panmunjom Declaration signed between Kim and Moon, offered few specifics about how the two sides would reach these goals, while also leaving “complete denuclearization” undefined. Still, Trump had said in recent weeks that ridding North Korea of its nuclear weapons would be a “process” that could take years. In the run-up to the summit, the North rejected any push to have it unilaterally relinquish its nukes, and observers pointed out that Pyongyang had referenced in state media the “denuclearization of the Korean Peninsula” — terminology that historically meant the North would seek a reciprocal U.S. removal of its “nuclear umbrella,” or its policy of extended deterrence that protects Japan and South Korea, in any deal. Asked Tuesday if the removal of U.S. forces in South Korea had been discussed, Trump said his administration was “not reducing anything, but added that he hoped “to bring our soldiers back home” eventually. 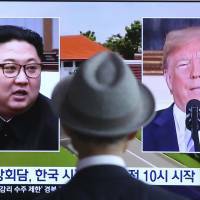 The United States and North Korea have been in a technical state of war since the outbreak of the 1950-1953 Korean War, which pitted U.S.-led U.N. troops backing Seoul against Pyongyang’s forces that were aided by China. 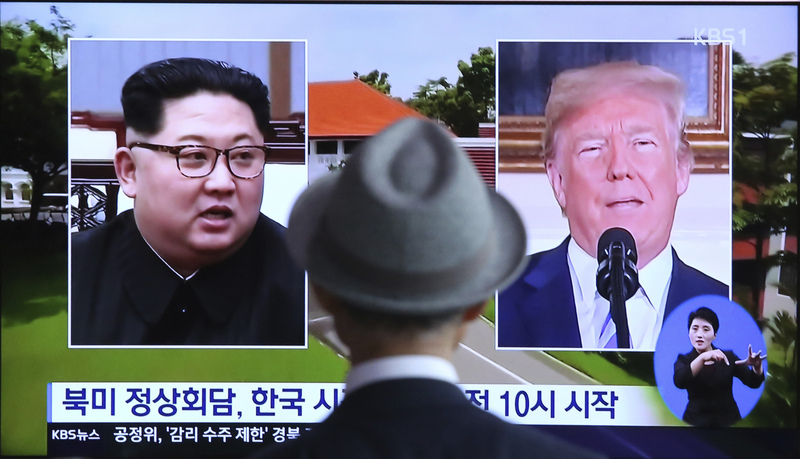 The conflict ended in an armistice that sealed the division of the peninsula, and the U.S. currently has some 28,500 U.S. service members stationed in South Korea. He also suggested that South Korea had failed to contribute enough money and said the drills would be “inappropriate” as the U.S. and North Korea negotiate a new relationship. Trump’s announcement came as a surprise to the South Korean government. U.S. Forces Korea also expressed surprise, saying that it had yet to receive updated guidance on the execution or cessation of training exercises, including the joint drills with South Korea slated for August. “In coordination with our ROK (South Korean) partners, we will continue with our current military posture until we receive updated guidance from the Department of Defense and/or Indo-Pacific Command,” the USFK said in a statement. “The world will see a major change,” Kim said through a translator. 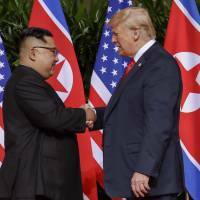 While some experts called the document a good first step in keeping diplomacy alive, Robert Kelly, a North Korea expert and associate professor at Pusan National University in South Korea, said it had left a lot to be desired. “Wow. If this is it… this is depressing. This is even thinner than most skeptics anticipated,” Kelly wrote on Twitter. Other analysts pointed out similarities to a landmark deal between the two sides inked almost 25 years ago to the date. 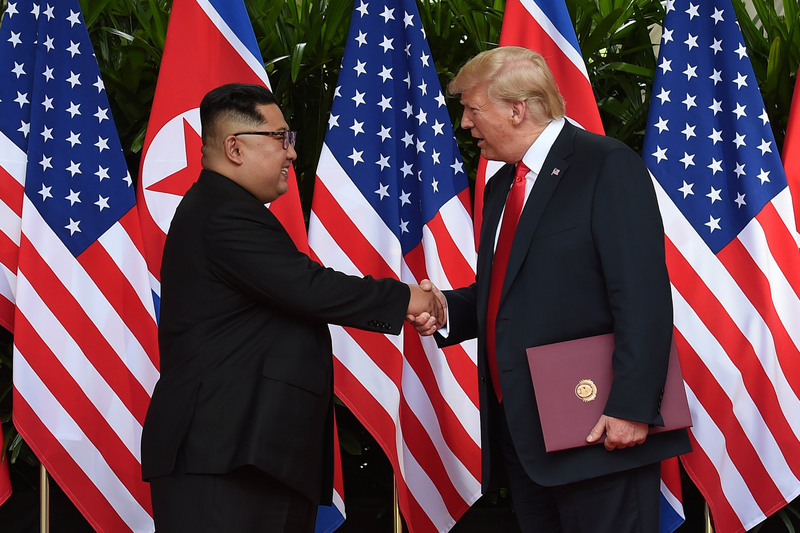 That agreement said each party would abandon the “threat and use of force, including nuclear weapons” and paved the way for the Agreed Framework the following year, bringing the two sides the closest they have ever been to a successful deal. 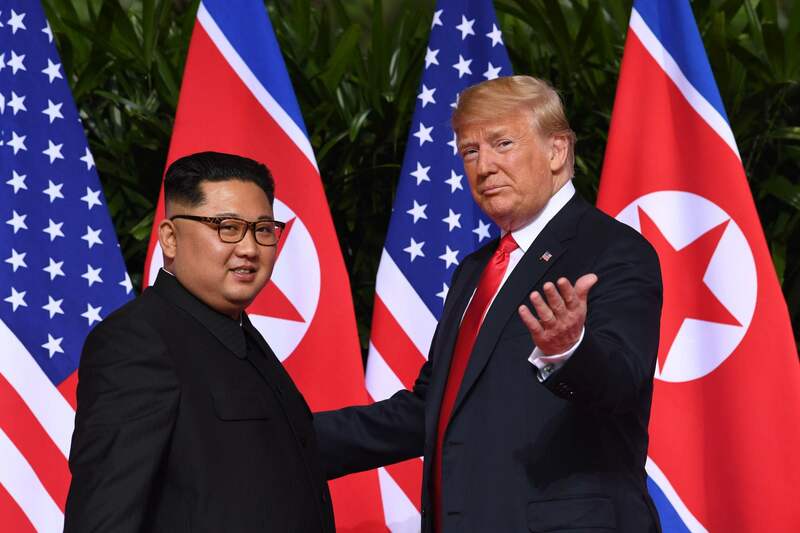 Stephen Nagy, a senior associate professor at International Christian University in Tokyo, said the main takeaway from the summit was that it represented “a commitment toward more dialogue, toward a process of diplomacy” and called the result a “political win” for both leaders. 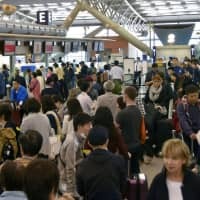 Nagy also said that for Tokyo, the shift in tone away from demands for a quick denuclearization process “fit well” with the Japanese security establishment’s “best interests.” Now, he said, Japan needed to “ensure that they are not seen as an obstacle” to the longer-term approach. Tuesday’s summit was the first-ever between leaders of the North and the U.S. — an improbable meeting that came just months after the two traded personal insults and threats of nuclear war. For his part, the North Korean leader said that although there would be challenges ahead, he is willing to closely work with Trump. 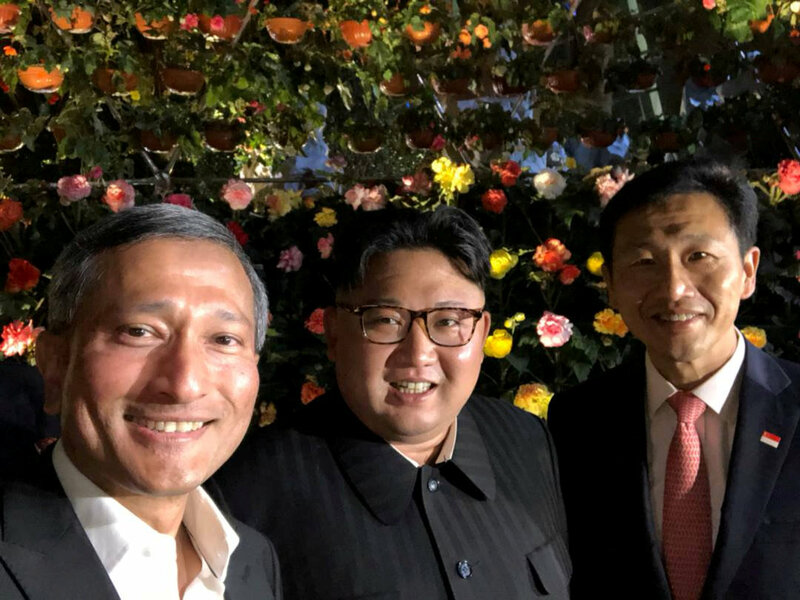 “I believe this is a good prelude for peace,” Kim said after a nearly 40-minute one-on-one meeting with the U.S. leader and their translators. Moving to a separate room, where they briefly addressed reporters, Kim said his visit had not been an easy journey. 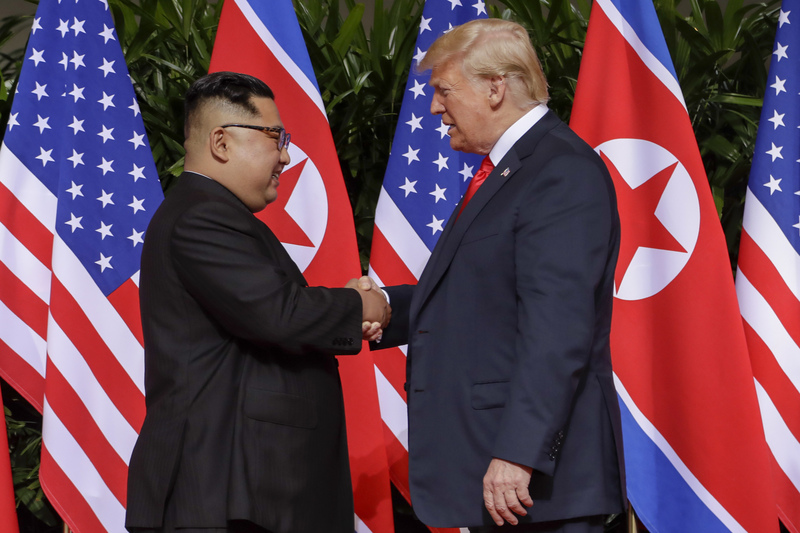 Jean Lee, a North Korea expert at the U.S.-based Wilson Center think tank, was sanguine about the summit, but noted that it marked a shift in the two nations’ ties. 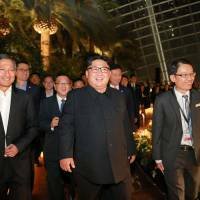 Tuesday’s summit came after a year of surging tensions between the two nuclear-armed rivals that saw Kim ramp up the development of his weapons programs and in the process bring the peninsula to the brink of conflict. It also made one of the biggest breakthroughs in its missile and nuclear weapons programs — which it has said it needs to defend against the risk of a U.S. invasion — when it announced that it had “completed” its state nuclear program after testing a missile capable of striking most, if not all, of the continental U.S. 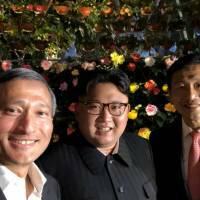 But in an unexpected move, Kim announced in April a shift from a focus on building his nuclear arsenal to one of bolstering his tattered economy. 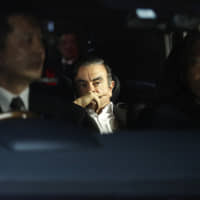 As a part of that process, he also announced a suspension of nuclear and missile tests and the dismantlement of a key atomic testing facility that was carried out last month. Trump and other top U.S. officials have promised a “bright future” for the North if it quickly relinquishes its nuclear weapons — including economic inducements and a security agreement. But while an agreement would pull the two countries back from the brink, a number of festering issues not addressed in the pact could mean that the road ahead will be littered with obstacles — most glaringly, human rights. In a tragic example of the regime’s brutality, Trump himself highlighted in his State of the Union address in January the death of U.S. college student Otto Warmbier, who served 15 months in a North Korean prison and died just days after being released in a coma in June last year. 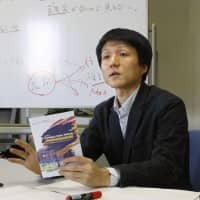 Tomohiro Osaki contributed to this story.